Jaguar. Thanks to Christopher Wytrwal. Public Relations endeavour with a little help from the Jag dealer. Oh yeah! The RCMP REALLY has class. 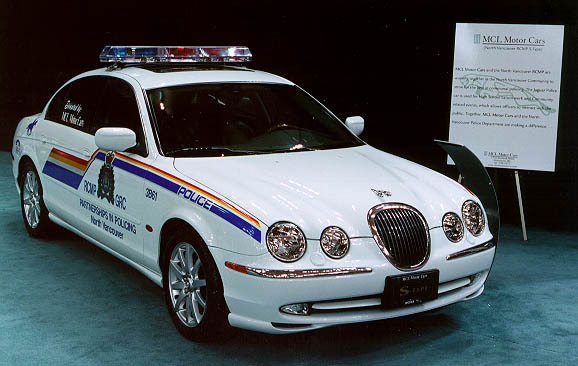 I don't think there are any Police Departments in the US or Canada that have Jaguars. Way to go.